VWs break down and get hauled to the junk yard before they have a chance to age well. Nice A3/Tucson/Rogue. Nothing to see here. Anon 1:21/1:22 appears to be right.. this is the FAW R20, which itself looks like a Hyundai Tucson with a VW front end. 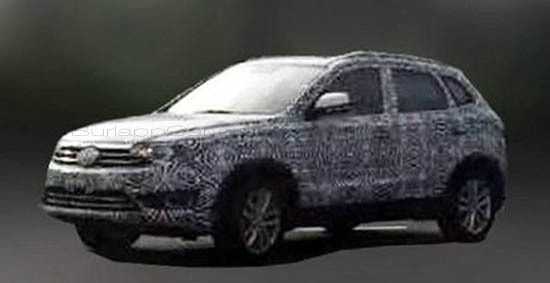 I personally hope the next Tiguan continues with its more distinctive, upright shape, especially since the only other compact German SUV that actually looked like an SUV (GLK) now looks like every other crossover out there (GLC).